This photo appeared in the November 1866 issue of Harper's Weekly magazine. 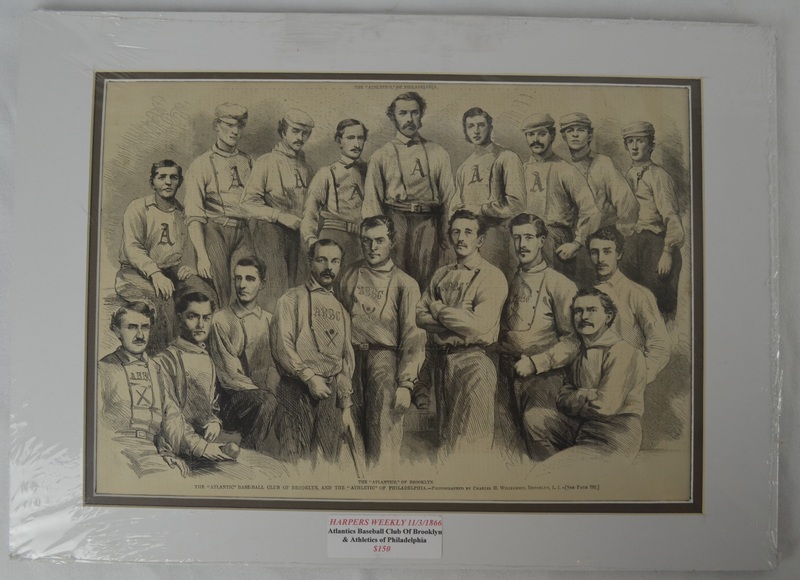 The photo features the Philadelphia Athletics and Brooklyn Atlantics and remains in nice condition. Harper's Weekly was an American political magazine based in New York City. Published by Harper & Brothers from 1857 until 1916, it featured foreign and domestic news, fiction, essays on many subjects, and humor, alongside illustrations. It carried extensive coverage of the American Civil War, including many illustrations of events from the war. During its most influential period, it was the forum of the political cartoonist Thomas Nast.